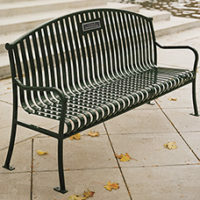 Public spaces and private facilities often include memorial benches with plaques to recognize donors or remember friends and family. 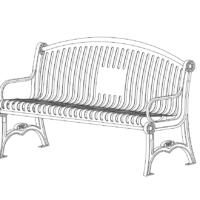 We offer arched back benches for this purpose in a vertical slat design with decorative cast ends or streamlined bar ends or customizable benches with bar ends. Our children’s benches offer another arched back with optional plaque option. 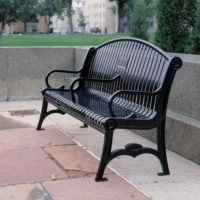 In addition, any bench can be modified for memorial plaque installation at an additional charge.